Our research study (*) of 75 public companies shows that the top legal counsel rarely has a seat on the Executive Board. This does seem to change. Will this provide an extra impulse for female representation at the most senior executive level? Only 2 out of 75 Euronext Amsterdam index listed corporates have their own General Counsel serving on the Executive Board. Of the 75 AEX, Midcap and Smallcap boards 13 (17%) include a professional with a law degree. Interesting to note: in almost half of these cases this individual holds the CEO position (ASR, NN Group, Randstad, IMCD, PostNL and Vastned).On 8 boards (11%) we find directors who have actually worked in a legal role (private practice or in-house) before. On only 2 boards (less than 3%) the General Counsel/Chief Legal Officer was appointed specifically in that capacity (SBM and Philips). 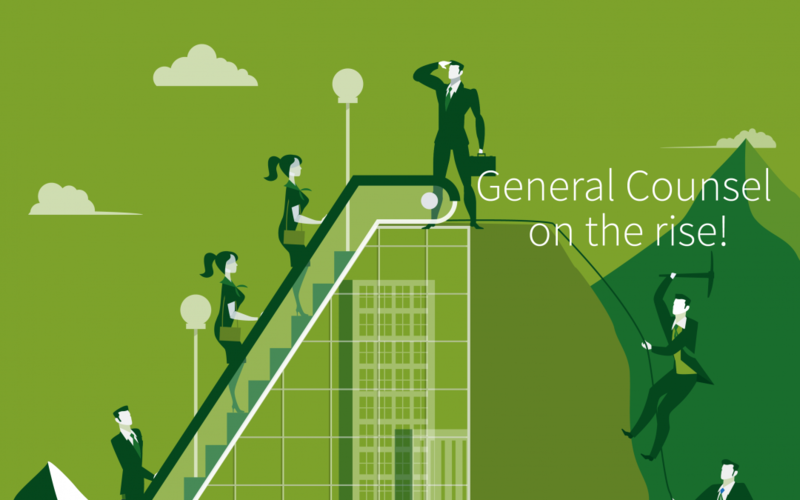 The General Counsel is a welcome addition to the C-suite! “New school” General Counsels bring expertise and skills (hard and soft) that are of great importance in today’s fast changing corporate world. Takeovers (sometimes hostile), governance, risk management, reputation management, privacy and cybersecurity, ethics, compliance, claims and law suits play an ever more prominent role in the boardrooms. The top legal counsel with an overview of the entire organization, with an analytical brain, an independent mind, and with the ability to create consensus can (and will) contribute importantly to the quality of the decision making process. Harvard Law School’s senior research fellow Dr Paola Cecchi-Dimeglio is working on a statistical study called “The Impact of General Counsel on Corporate Boards http://legalexecutiveinstitute.com/forum-magazine-gcs-corporate-RvBs/ Preliminary results show that in the U.S. the number of GC’s on boards is increasing. And companies with the GC on the board seem to be performing better than those without. The outperformance was most tangible in times of crisis but interestingly continued in economic upturns. In the Netherlands we also see GC’s serving at ever more senior levels. At the end of 2017 Chief Legal Officer Marnix van Ginneken was appointed to the board of Philips. And early 2018 Air France-KLM announced the arrival of Anne-Sophie Le Lay as Chief Legal Officer on the Executive Committee (C2-level) (http://www.airfranceklm.com/en/news/air-france-klm-adjusts-its-organization. Interesting “talent pool” to give gender diversity a boost! The author Tim Zumpolle: co-founder ZumpolleVanderStoel, headhunters for experienced legal and tax professionals. Tim has 30+years experience in business services. Held senior management positions in The Netherlands and abroad. Trusted boardroom advisor. Long track record of successfully completed searches for law firms and (international) corporations. From legal counsel to general counsel, from associate to (senior) partner.